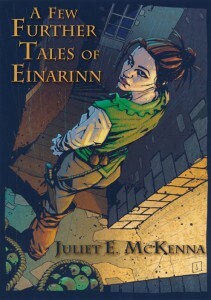 Here’s the cover of the brand new short story collection from Juliet E. McKenna that we will be publishing next week. The book should be available on the 27th. As to the content, it is best to let Juliet talk about it herself. You can learn more on her blog.